Landfills are capped mainly to prevent further ingress of rainwater, thus minimising future leachate generation and also to help control the escape of methane gas, generated by the degrading waste. A major long-term concern when employing a landfill cover is differential settlement, caused by decaying and shifting waste. 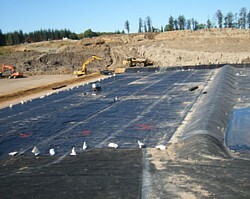 The geomembrane landfill liner cover must be able to facilitate deformation caused by differential settlement without failure of the containment. 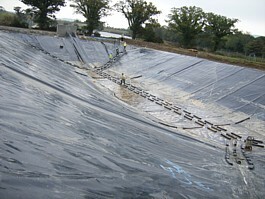 These requirements are fully met, only LLDPE/ VFPE geomembranes are used for landfill capping. Typically 1.0mm is the thickness preferred. Solid Waste Landfills are used for the permanent storage of domestic, hazardous and industrial waste. Geomembranes have been used successfully since 1973 to seal landfills. The purpose of sealing a landfill is principally to prevent leachate escaping from the landfill and polluting ground and surface waters.Typically 2.0mm or 2.5mm thick HDPE geomembranes are used but occassionally LLDPE geomembranes are used where major ground settlement is anticipated. Smooth geomembranes are typically used on the base and friction enhance geomembranes are often used on the side slopes to minimise the risk of slippage. 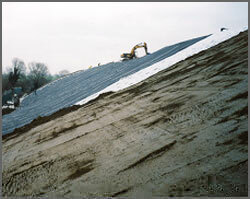 Protection Geotextiles are often placed over the installed geomembranes to prevent damage. 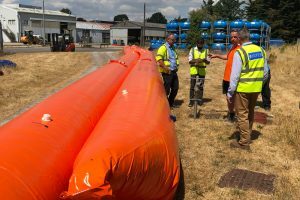 Drainage geocomposites or slotted HDPE pipes are used to channel leachate and surface water run-off to removal points. Leachate, which is produced on landfill sites, is a particularly polluting effluent. 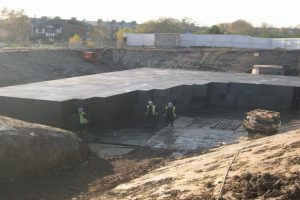 It must be removed from the sealed landfill cells and safely stored in lagoons prior to treatment either on or off site. HDPE lining systems exhibit the highest degree of durability under extreme environmental conditions including sunlight, freezing and abrasion. Typically 2.0mm & 2.5mm smooth HDPE geomembranes are used. 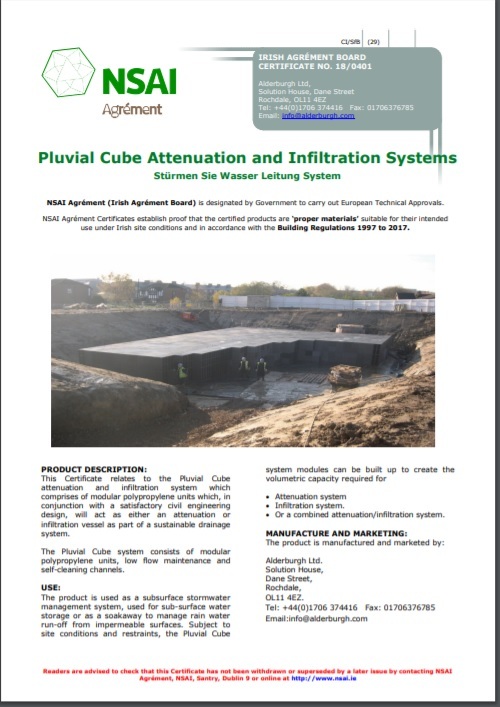 To get a site visit, quote, more information or just some advice please don't hesitate to contact us. You can call, email or simply complete our query form and we will contact you.